Did you know that the leading cause of accidental death in America today isn’t car accidents or suicides, but rather, drug overdoses? It’s true. According to the American Society of Addiction Medicine, drug overdose is the leading cause of accidental death in the United States, with opioid addiction as a primary, driving force. Opioids are a particular type of drug that binds to opioid receptors on nerve cells. Examples include prescription drugs such as hydrocodone, oxycodone, codeine, morphine, and fentanyl, and illegal drugs such as heroin. These drugs are powerful, and they can be deadly. National Institute on Drug Abuse (NIDA) data tell us that in 2018 alone, opioid overdoses will claim over 41,975 lives. That’s 115 preventable deaths every single day – a terrifying statistic. Though some might assume that the epidemic has slowed down since then, that’s sadly not the case. While the overdose deaths of celebrities such as Tom Petty, Prince, and Cory Monteith have certainly raised awareness around the issue, these tragedies have not lessened the opioid overdose trend. Despite public outcry, opioid overdose rates are climbing rapidly. According to NIDA, “Opioid overdoses increased 30 percent from July 2016 through September 2017 in 52 areas in 45 states.” How did this happen? Why are so many people dying from drug abuse? In the earlier part of the twentieth century, doctors were typically cautious about prescribing pain medication. They restrained their use of pain prescriptions, which meant that pills were harder to obtain. Sometimes, people with legitimate pain could not receive medication for their symptoms.As a result, there was a huge emphasis on responding swiftly to patient pain in the 1980’s and 1990’s. This was fueled in part by a true desire to alleviate human suffering…and in part by drug manufacturers and pharmaceutical companies eager to sell their products. Drug companies claimed that their products were not addictive, and doctors were trained to prescribe painkillers early and often. In fact, to this day many doctors receive lower patient evaluation scores – which are legally linked to hospital payments – if they don’t prescribe opioids. In short, physicians feel pressure from both their workplaces and their patients to pull out their prescription pads. All of these additional prescriptions led to a lot of misuse and abuse; the pendulum swung far in the opposite direction. According to the US Department of Health and Human Services, 11.5 million people misused prescription opioids in 2016 alone. Once people had more easy access to opioids, the rate of abuse skyrocketed. And of course, it didn’t help that pharmaceutical companies increased their marketing efforts tremendously at the same time. In his popular TED talk Everything You Think You Know About Addiction Is Wrong, British journalist and author Johann Hari highlights the link between addiction and social bonding. Hari describes our intrinsic need to connect with one another. He also notes that when we are blocked from making these connections due to physical isolation or trauma, we turn to substitutes. We connect with drugs rather than one another. If we don’t address the pain of personal isolation, we won’t stem the tide of the overdose epidemic. The rise of social media platforms isn’t helping; in fact, the illusion of connectivity may be contributing to our lack of it. 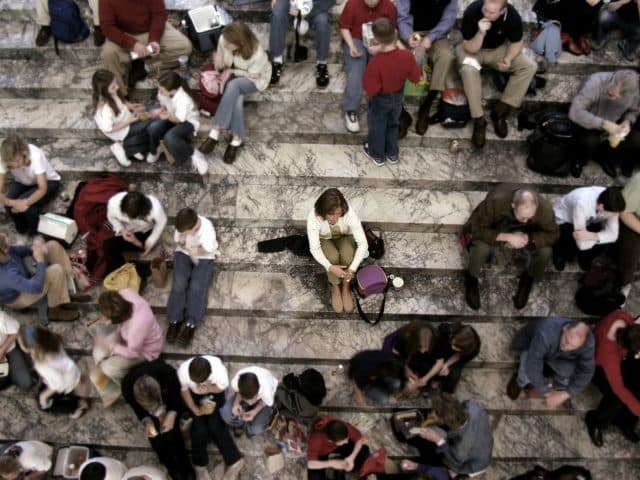 While researchers noted that heavy social media use does not necessarily cause social isolation, it’s clear that we have a real issue with social isolation in our modern world. This translates to vulnerability for drug addiction. As opioid overdose rates rose, so did rates of depression, anxiety, and other mental health issues linked to drug abuse. 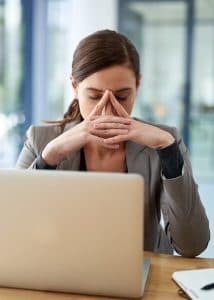 Anxiety disorders now affect 40 million adults in the US, according to the Anxiety and Depression Association of America (ADAA). That makes anxiety the most prevalent mental illness in the country, impacting 18.1% of the adult population. 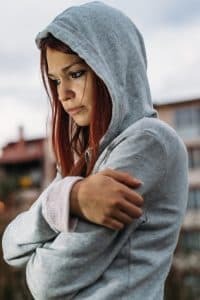 Plus, depression – which often co-occurs with anxiety – is the leading cause of disability in the United States among people ages 15-44.We now know that many people who struggle with addiction have a dual diagnosis: a substance abuse issue combined with a mental health concern. So, it’s no surprise that when mental health issues surge, so do addictions. This is true for the young as well as the old. With depression and anxiety on the rise, millions of people over 50 are getting hooked on prescription pills. Our current epidemic of depression and anxiety renders senior citizens increasingly vulnerable to opioid addiction. Adults with depression and anxiety reach for opioids in order to alleviate their emotional suffering. What Can Be Done to End the Opioid Crisis? Educate doctors about the dangers of over-prescribing opioids, and teach proven, research-based pain management therapies and techniques that don’t rely on opioids. Make changes to the healthcare system to prevent over-prescribing and alleviate the pressure on doctors to over-prescribe (for example, by changing the form and content of patient satisfaction surveys, and also employing the use of alternative pain management therapies). Curtail aggressive marketing by drug companies, and limit our own exposure to these ads (for example, by not buying magazines or watching programs that feature them). Create families and communities characterized by connection: purposefully putting down our devices, signing out of social media, and conversing heart-to-heart more often. Provide professional counseling to address and heal mental health issues, the true root causes of addiction. The relapse rate for opioid addiction is very high; some estimates put it at over 90%. Numbers like those make some people despair of ever finding a solution. However, though the current crisis is complex and multifactorial, it’s also just the latest manifestation of an age-old problem. The opioid epidemic is fueled by the same thing that fuels all addictions: disconnection, depression, anxiety, and deep mental and emotional pain. The good news is that, as mental health professionals, we know how to address and heal those issues. We know how to work with depression and anxiety and trauma. Going forward, it’s our job to help and support as many people as we can in healing these underlying core issues. If we can do that, we’ll have brought our country one step closer to ending the opioid epidemic for good.